It is a powerful and robust Desiccant technology dehumidifier designed to quickly extract moisture into the toughest applications. 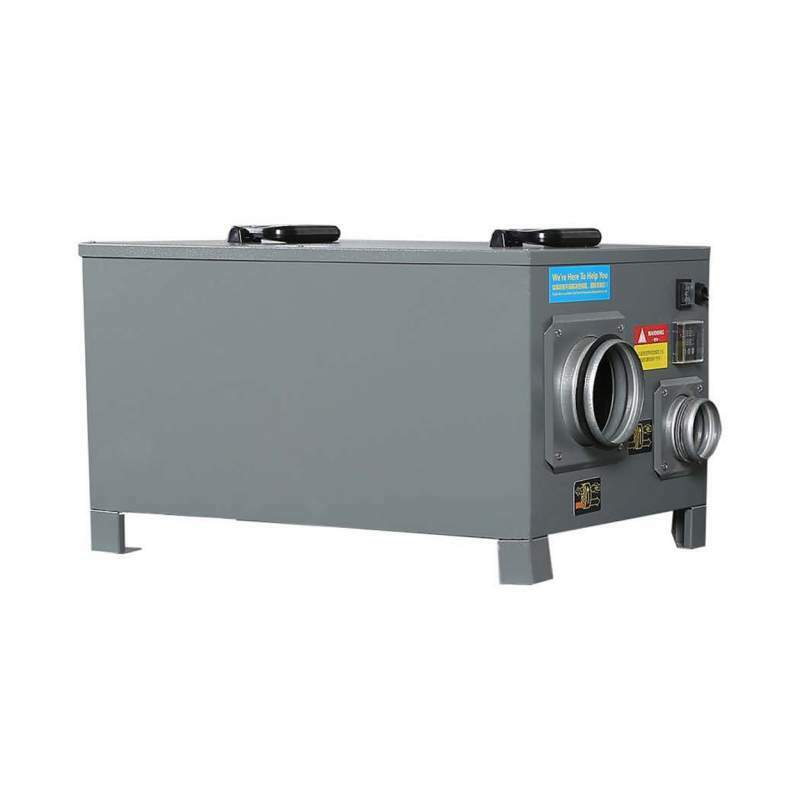 Ideal for building, food dehumidifiers, swimming pools, low-temperature rooms as the operating temperature ranges from -20 to +60 ℃. 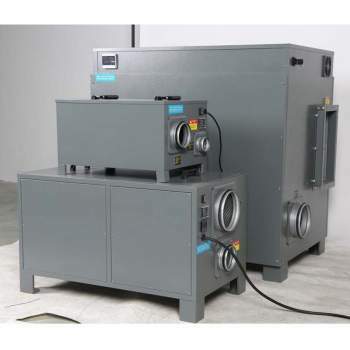 What our customers are demanding from a desiccant building dehumidifier, of course, to extract a lot of moisture from the air, using as little consumption as possible and give many years of reliable operation. This was precisely designed to make Puredry PDD 200M. It works without the use of a compressor motor such as the dehumidifiers we have known so far. Its principle of operation is based on the desiccant abundant material zeolite, which has the natural property of absorbing the moisture particles from the air, then converting them into water and with a tube included in the drainage package. It has inside heat resistance, which heats the dry air before it goes into space. The dry air diffused by the Puredry desiccant desiccants is about 10-16 ° C warmer than the air in the room. They therefore contribute to heating the room by raising the temperature by 1-3 ° C. Designed and built with the latest technologies, this means that it meets our energy efficiency requirements with just 1.3kw / h and superior manufacturing quality. This is why it comes with a two-year warranty. Puredry PDD 200M is coated in epoxy paint in a steel casing to reduce scratches. It has very large handles for ease of movement above and below stairs and curbs. It has a handy electronic control panel. Internally, it uses the highest possible quality of components and welds to ensure reliability under all conditions and to deliver the highest exhaust rates using minimal energy consumption at all temperatures and relative humidities. It is the most cost-effective way to combat mold, condensation and moisture in areas up to 200 m². unified space. Possibility of dehumidifying 50 liters per day. Air recirculation 220m³ / h.
Only 1300 watts nominal power consumption / maximum 1500 watts. Auto restart in case of power failure. Digital display to show you the current relative humidity value of the area. Variable dehumidification relative humidity in 5% increments. Timer 1 - 24 hour on / off.